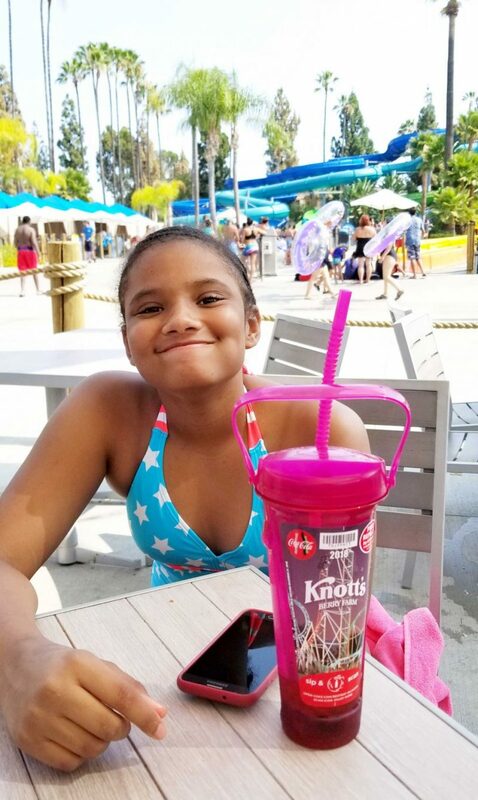 Knott's Soak City - What you Need to Know BEFORE You Go! 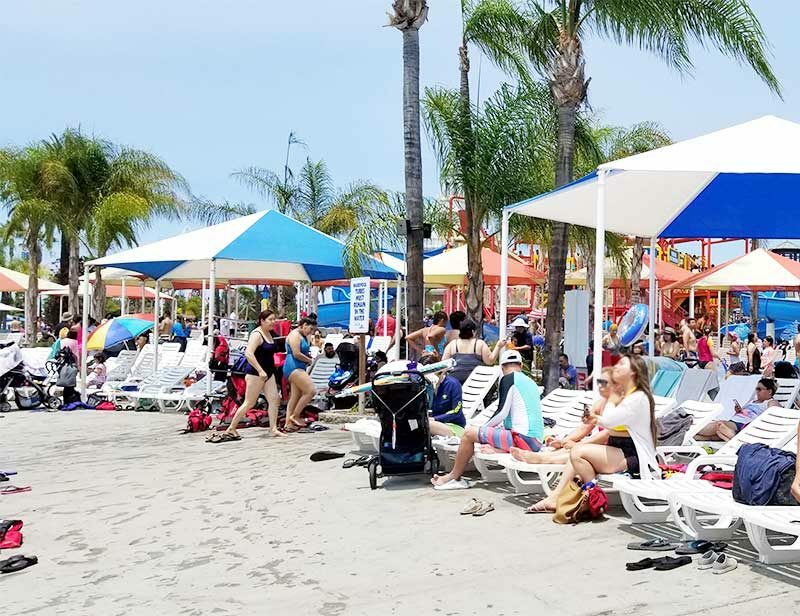 You are here: Home / Travel / Knott’s Soak City – What you Need to Know BEFORE You Go! 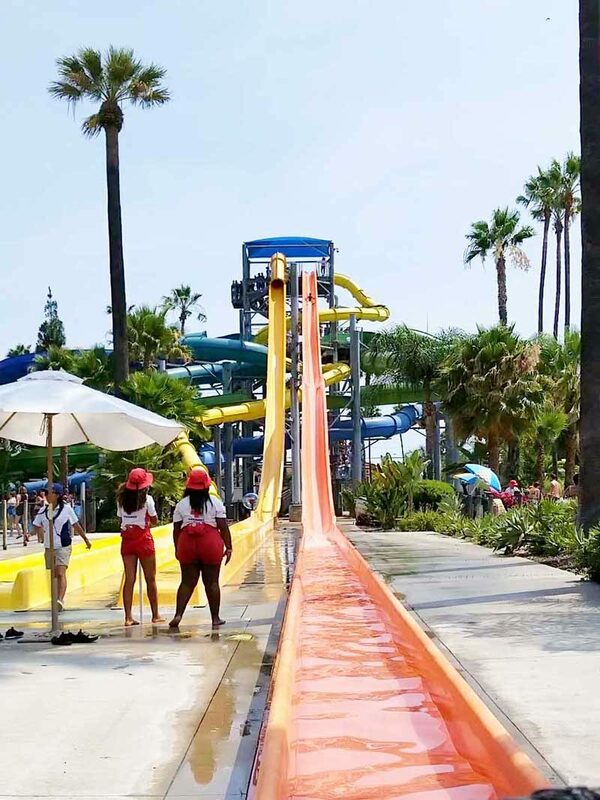 Planning a trip to Knott's Soak City? 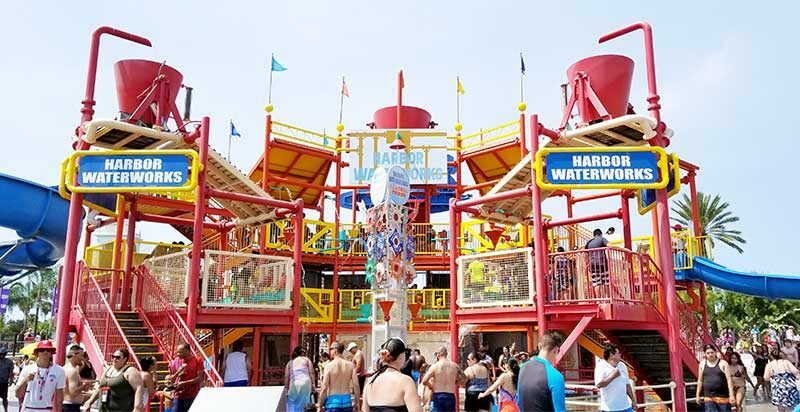 Whether it's your first time at a waterpark or you're a seasoned pro, these are the tips that you need to know before you go to Soak City. Knott's Soak City gifted us a family 4 pack of tickets to check out the Orange County water park. We're gonna share what we learned so you can make sure you're prepared to have the most amazing time ever. Let's get started! Soak City lives up to his name because everything is really wet. That includes the floors and walkways. I wore flip-flops to Soak City and immediately regretted it because not only do the bottoms of flip-flops get slippery but when your feet are wet on top of flip-flops, you can easily slip in your own shoe. I recommend getting a water shoe or water sneaker that has a tread on the bottom but also has drainage. This way you can walk all around the park without worry but your feet won't get pruney. Even though there is water everywhere (ha!) you still need drinking water. It's super important to make sure you stay hydrated, especially since you'll be in the hot sun all day. Luckily, you can bring sealed bottled water in to Knott's Soak City. All of the restaurants offer free water cups and you can also buy ice cold bottled water to drink. 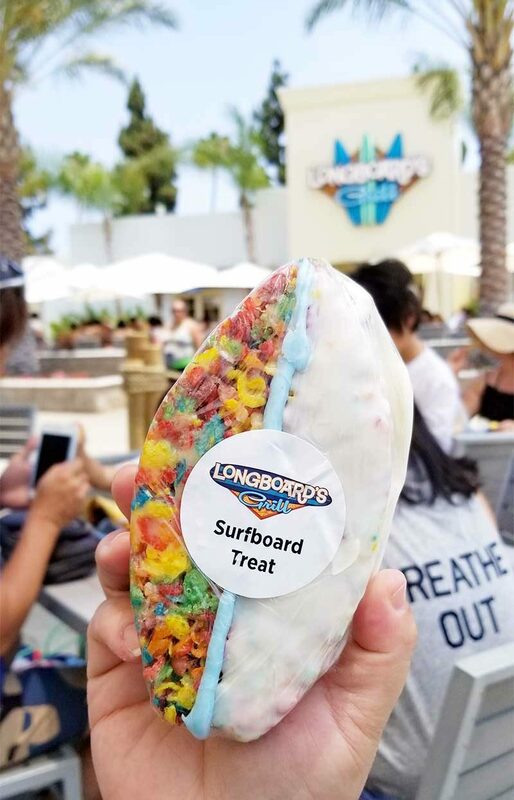 How do you protect your phone from water at Soak City? 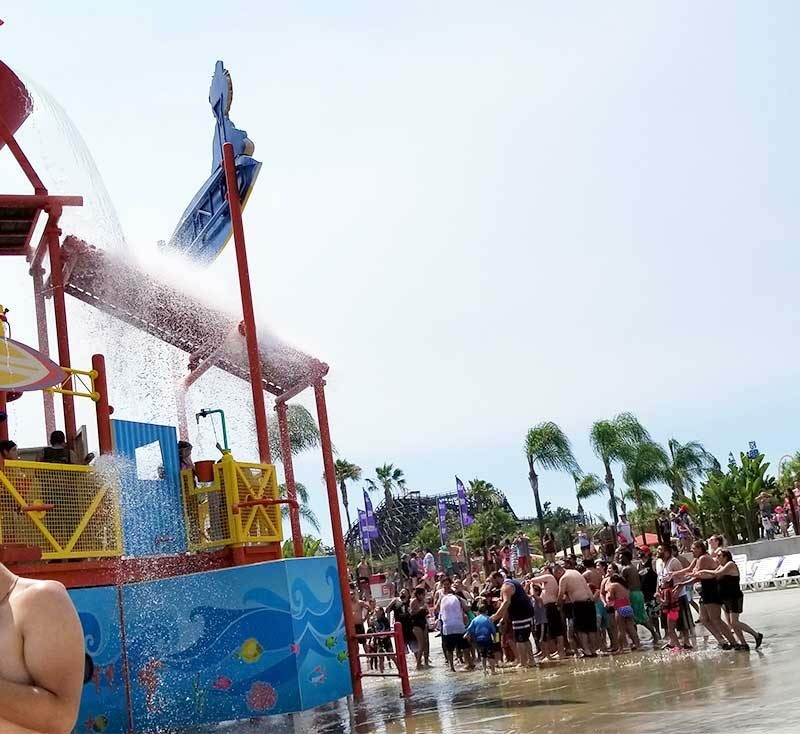 Water is everywhere at Soak City so it's a good idea to protect your phone while at the park. On the Soak City website they recommend to avoid bringing electronics unless absolutely necessary. Most of us would consider a phone absolutely necessary! Most phones won't survive underwater, even water-resistant phones like my own Samsung Note 8. When we went snorkeling in Jamaica a couple years ago we got some protectors for phones that allow you to take the phone underwater up to a certain depth and temperature. Soak City offers these bags for sale for $35 a piece. They're really cute and colorful however I like these ones better, especially if you have the time to order them online before your trip. Avoid paying a premium for sunscreen by bringing your own. We used a spray sunscreen that was easy to apply and reapply later in the day. Just make sure someone helps you get your back … I have a circle shaped sunburn between my shoulder blades because I could not reach the middle of my back with the spray on my own. Doh! Save when you buy your tickets online and print them at home. I saved $6 on the ticket we bought for one of my son's friends who went to Knott's Soak City with us. You can also pre-pay for parking, but there is no discount. Purchase your tickets, print them out, and be ready to go in under 5 minutes! It's not a secret that Knott's Soak City does not allow you to bring outside food into the park. But people still try it anyways and it really slows down the security lines at the front. I watched them throw away a full bag of Cheetos that a couple in front of me didn't want to take back to their car but we're trying to sneak into the gate. Just don't bring outside food in. The park will make exceptions for medications and food needed for medical reasons and you'll need to disclose that at security. 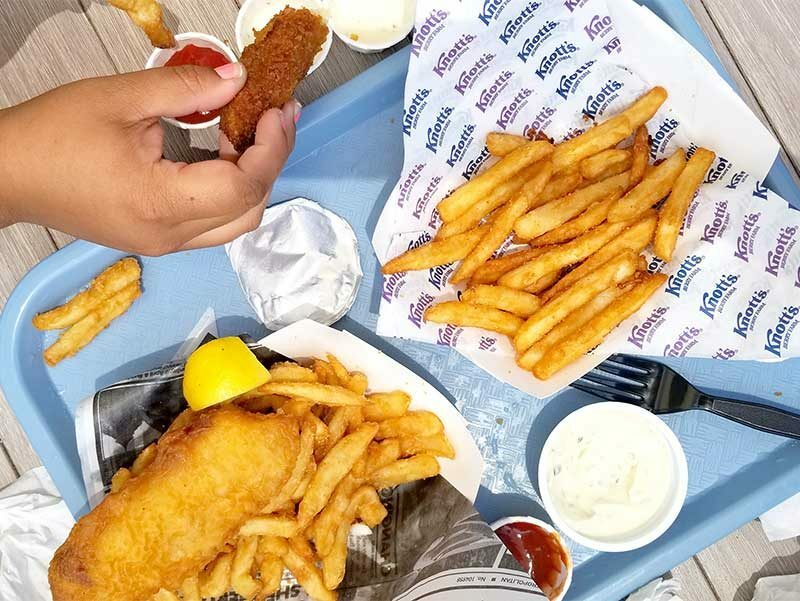 There lots of really yummy places to eat inside of the park, like the new Longboards Grill where you can enjoy fish and chips, chicken fingers, burgers and even fresh salads. The chicken fingers and fries at Longboards Cafe were our favorite meal of the day! If you still want to bring your own food, there is a picnic area outside the entrance of Soak City where you can enjoy food items from your car. If you tried to sit in one of the dining areas and eat your own food staff will ask you to move to a different location to allow restaurant guests to use the dining chairs. Meals run about $15-20 person without drinks, bring at least $14 a person without drinks. You can bring sealed bottles of water into Soak City. But you can't bring outside Fountain drinks or other types of drinks into the park. If you're looking to buy drinks in the park besides water, the best deal is the Knotts Berry Farm 2018 souvenir cup. With the souvenir cup you enjoy free refills the day of purchase. And through December 31st you received refills for a dollar at either Knott's Berry Farm or Soak City. You don't need to bring alcoholic drinks to Knott's Soak City. You can purchase beer and wine throughout the park at the vendors. Beer is about $10 a cup and wine is around $8 a glass. Do you need to bring a floatie? You cannot bring your own floaties but can bring your own life vest. Luckily, Knott's Soak City has everything you need. The Lazy River has its own green inner tubes but they are available first come, first served. Life vests are available for free for infants and kids. You can also rent floaties or inner tubes in the park for $10 a day. And if you decide to rent a cabana, rental for 4 inner tubes is included. Smoking is not allowed at Knott's Soak City. I love this because it's great for my kids and those of us with sensitive allergies. There are several parking lots around Knott's Berry Farm and it can be a little confusing to find the closet lot to Knott's Soak City. When you first pull in to the Knott's complex from the north, the first driveway to the left leads under the street to a parking lot right next to Soak City. If you need handicapped parking, I recommend using the lot that I just described. There is a handicapped lot behind the Snoopy shops but you'll need to walk down into a tunnel and back up again to get across the road, which is longer than if you parked in the handicapped parking in front of Soak City. The cost to park in any lot at Knott's Berry Farm is all the same so park as close as you can! Shade is at a premium in Soak City, especially on sunny days. You'll want to arrive early to grab lounge chairs in the shade. We arrived around 11 am and all of the seats had been taken. 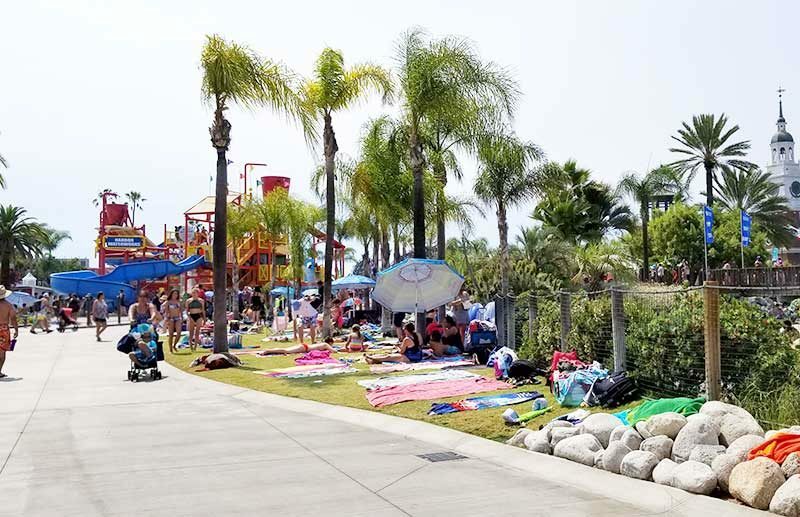 There are grassy areas throughout Knott's Soak City where you can lay out your beach towel and set up a beach umbrella for shade. You can bring your own umbrella or purchase a personal umbrella for about $18 in the park. I definitely recommend getting to Soak City first thing after it opens so you can snag lounge chairs for the whole family in the shade. We will definitely get there earlier next time. Gonna be at Knott's Soak City all day? You Need a Cabana! If you don't want to get there early and mess with trying to reserve chairs in the shade, renting a cabana might be a good option. You can rent cabana for $245 a day on the weekend and $180 during the week. The cabana is reserved for your party the entire day. And you get the enjoy these amenities too, for the WHOLE day! Waiter service – order and get food brought to you instead of trekking to the restaurants and standing in line. Dining table with 4 chairs and umbrella, perfect for meals! 4 lounge chairs … in the shade! People of all shapes and sizes and ages are enjoying. No one is really looking at anyone else. I felt very comfortable there, even as a plus size body type. 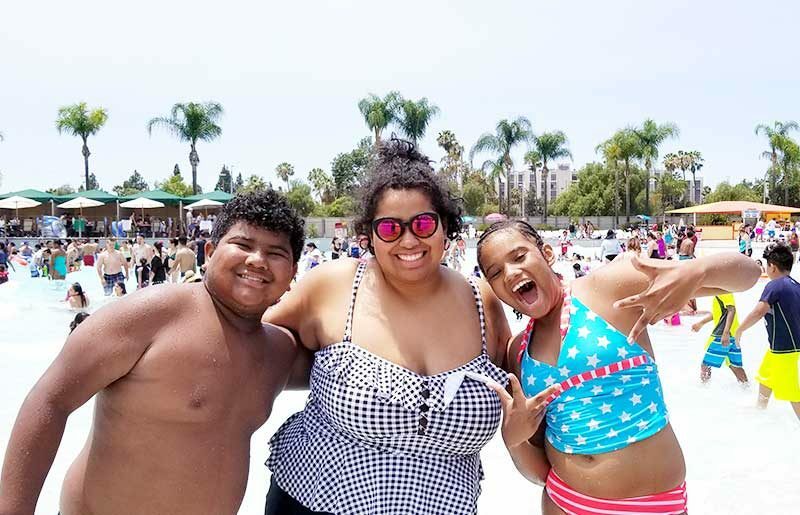 We had a total blast at Knott's Soak City, With these tips, you'll have the best day ever too! Hi Jennifer! I love water parks and your post will be one of my features on next weeks OVER THE MOON LINK PARTY which goes live on Sunday evening at 5pm Central. Please stop by to see your feature and link up again!